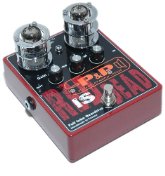 Plug & Play Amplification ® is an electric guitar effects / attenuators / accessories brand, mainly designed for guitarists and bass players. 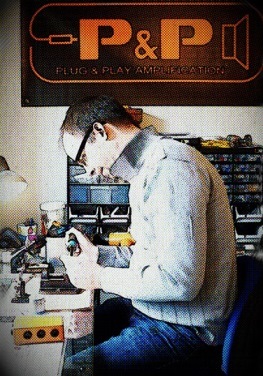 Our special feature is, that all products are handcrafted in France. We are totally independent. All orders are processed from this website. So there's no middleman between builder and customer. By a very effective cost controlled management, we can offery very high quality products at competitive prices. Here at our company, no questions about chain working or printed circuits : All is handcrafted in a small manufactory in the north of France. Most of the components come from European suppliers, supporting EU partnership. P&P is already popular in France and it's growing fast in European countries, especially in Germany. Tobias has recently joined the P&P family as Sales Manager in Germany. There is a closed dialogue between our two countries. 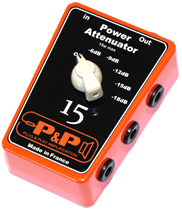 P&P Amplification is also exports to others European countries. Shipping costs are 10€, wherever you buy in Europe. Delivery time is 2 days within France. 4 days are necessary for the rest of Europe. Our products are delivered within 2 days in France and 4 days for the rest of Europe. The absence of dealers facilitates exchanges and maintains a close relationship with our customers. A question about a product? Hesitation between two models? Who can best advise you in the same way as the product designer? We try to answer to emails the same day, usually within an hour. Our team grows up more and more. We actually hire Sales Managers in Spain, England and Italia. Don't hesitate to contact me for more information. P&P Amplification team : Peggy, Tobias & Sylvain.